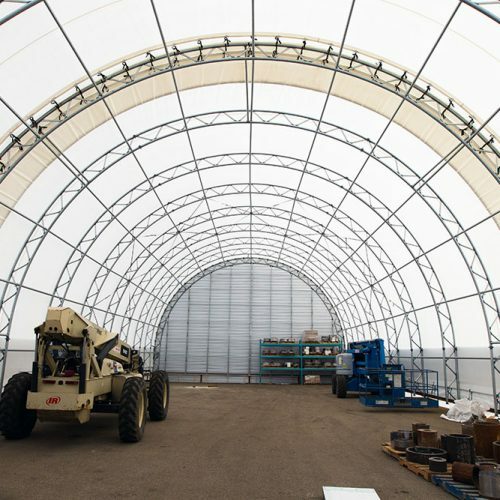 We've got your Assets Covered! 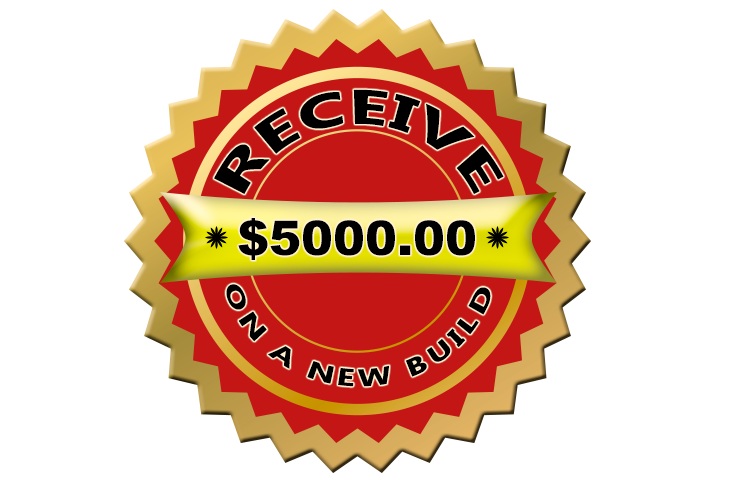 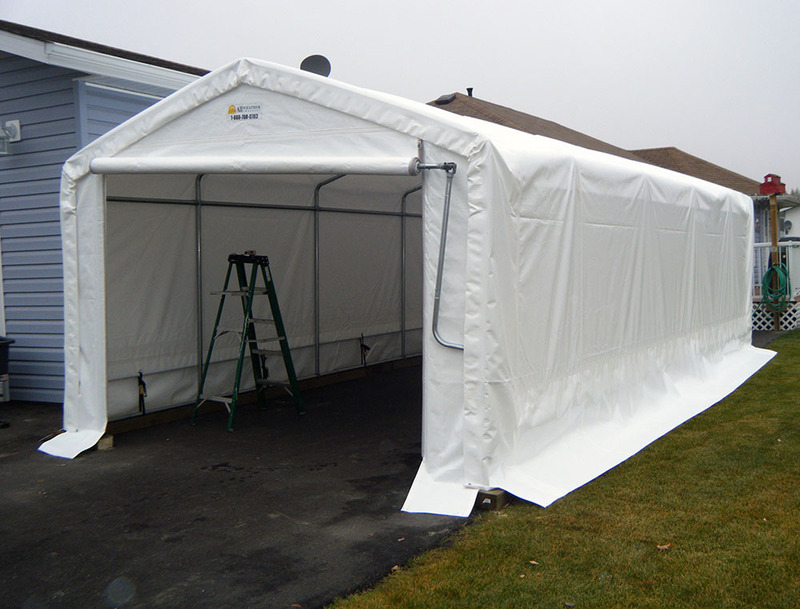 At All Weather Shelters we custom build your building to specifications. 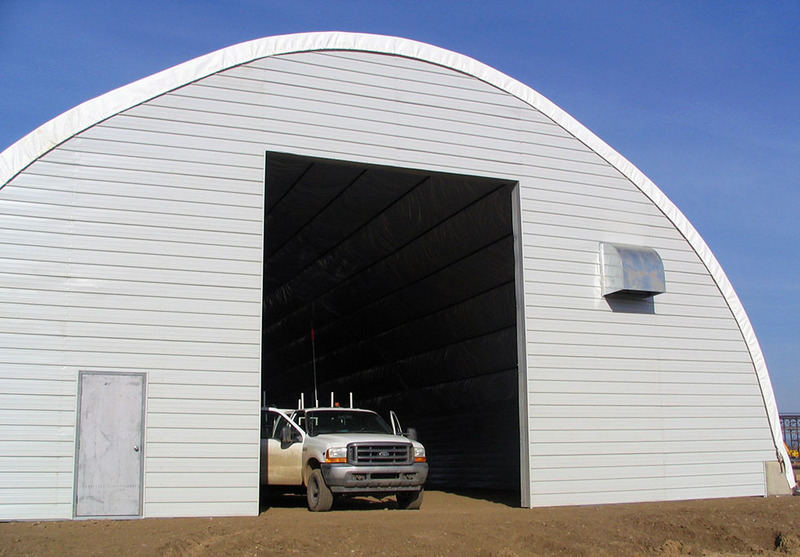 We design, construct and build all of our buildings. 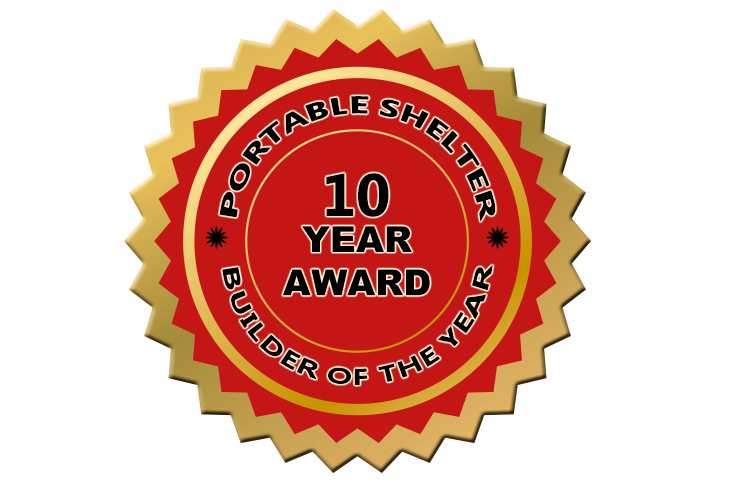 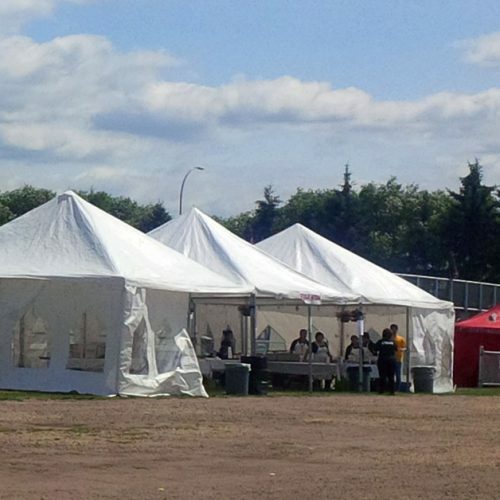 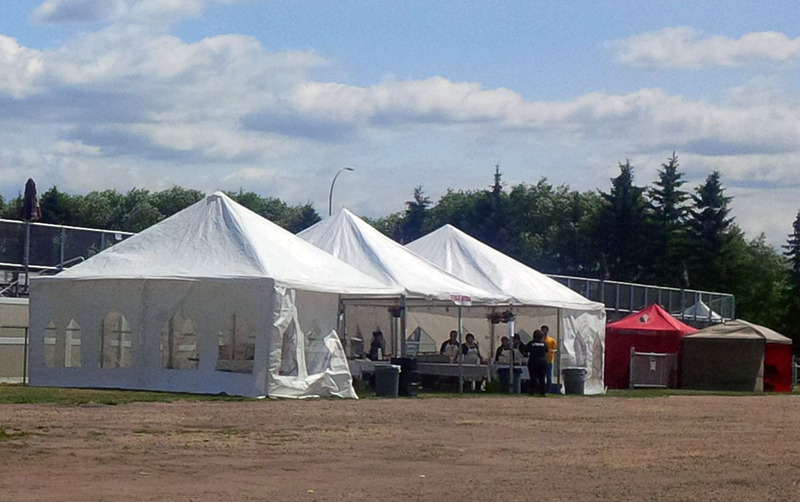 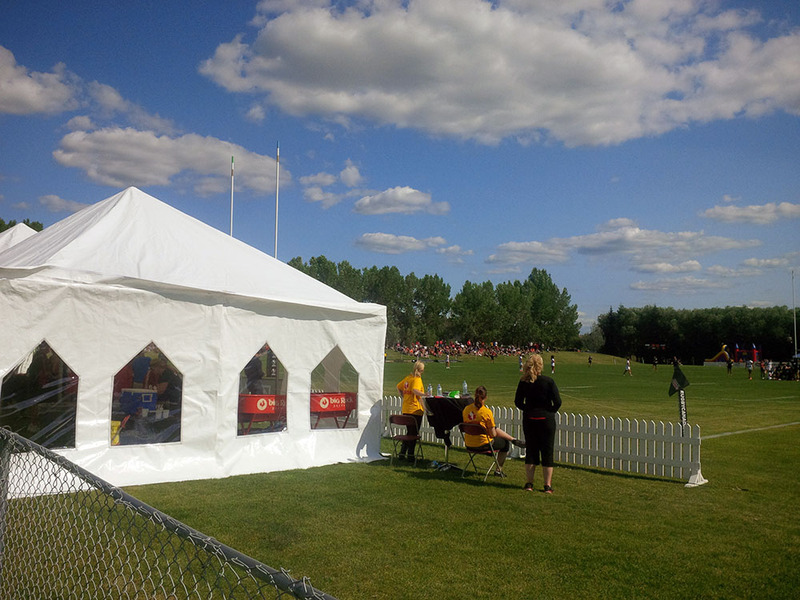 We are the toughest portable shelter builders in Canada. 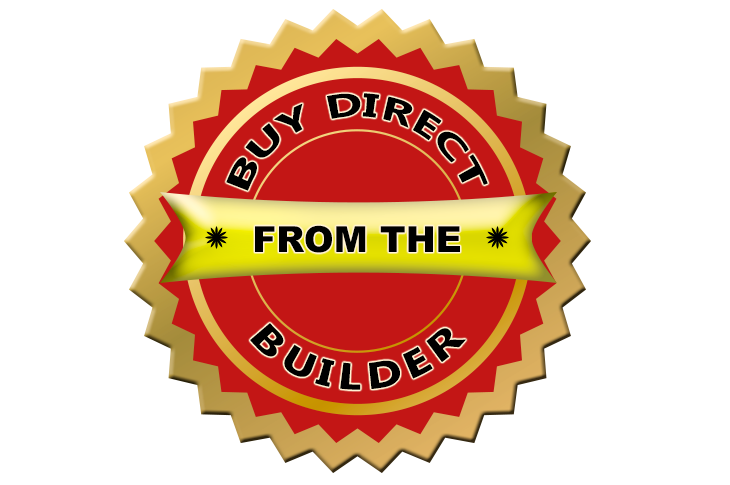 Give us a call, Custom Design to your specs. 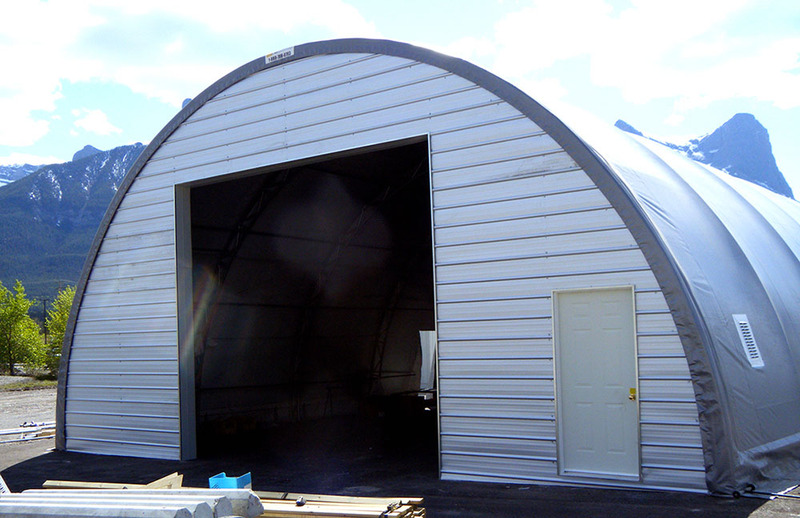 All Weather Shelters can and will outperform all other shelters out there. 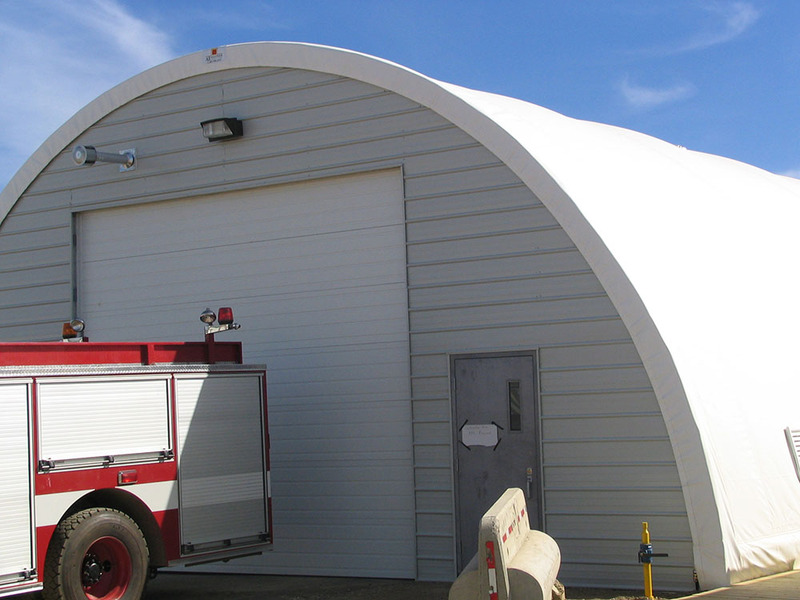 We stand behind our Buildings. 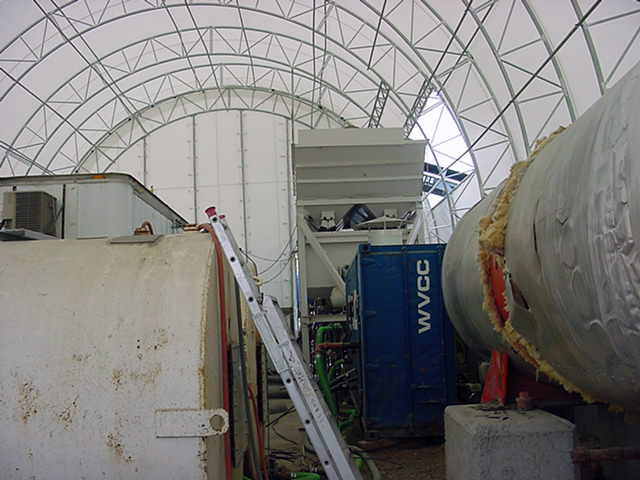 Below you can view some of our current buildings and projects. 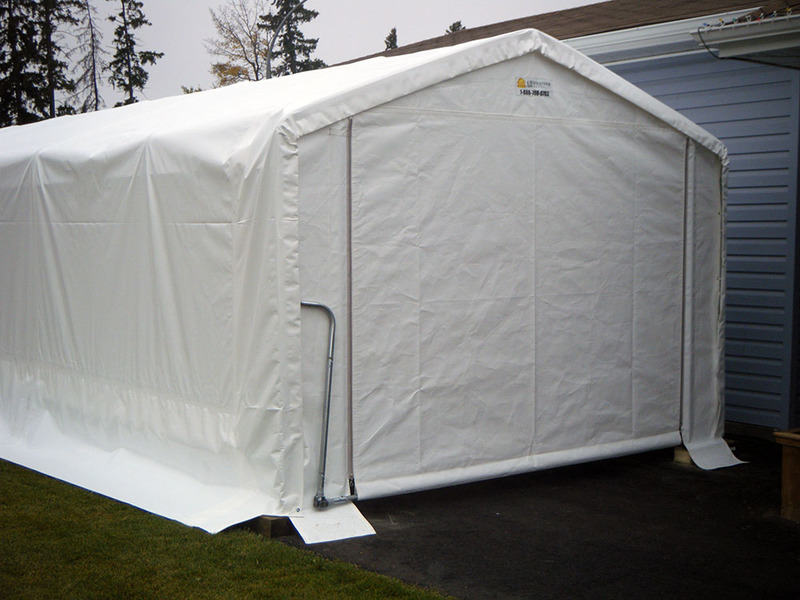 We maintain the mindset that customer service always comes first, All Weather Shelters expects to remain an industry leader for years to come. 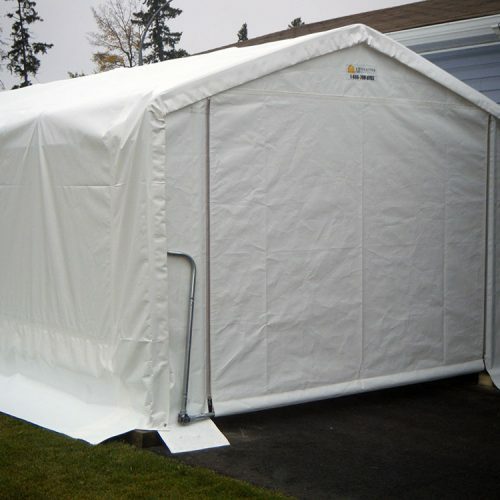 All Weather Shelters is committed to providing you with superior customer service. 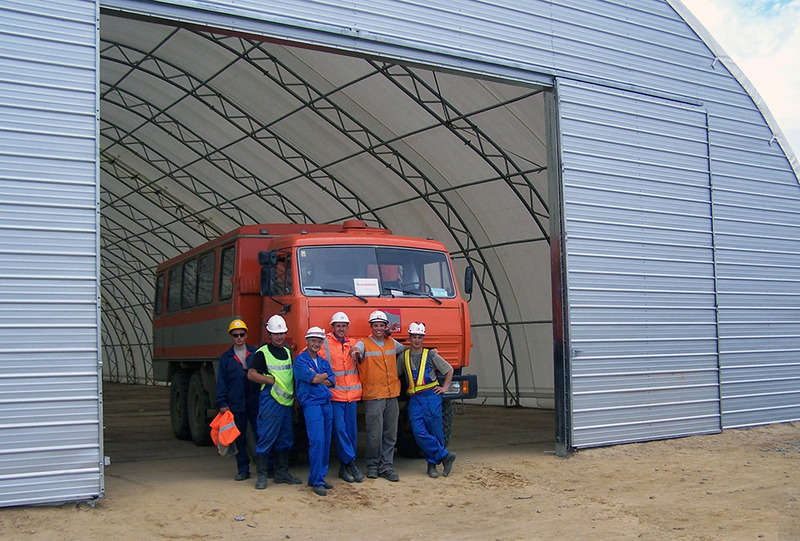 For more information about our products and services, please fill out the contact form. 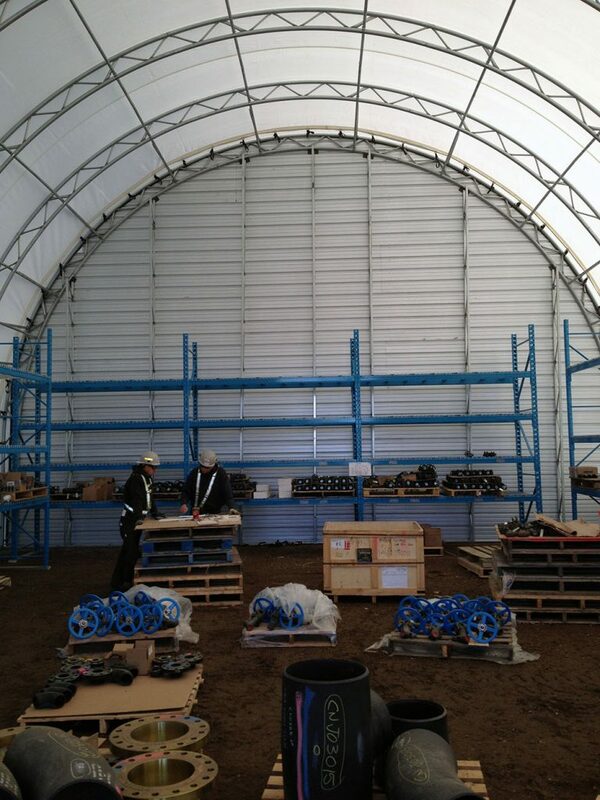 Our products, as a result of our ISO 9001 commitment, are constantly tested and improved to ensure superior quality. 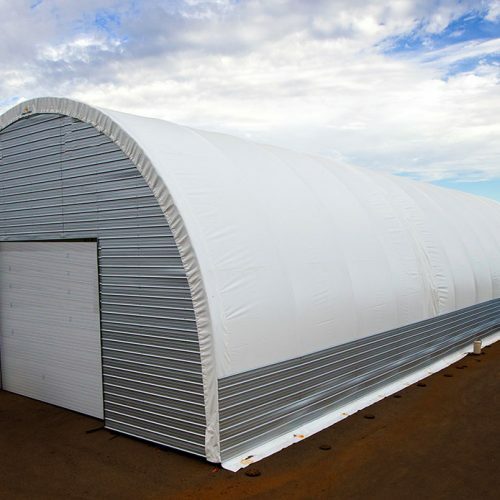 Our specialized building fabrics exceed all industry standards and are individually tested to ensure the highest strength. 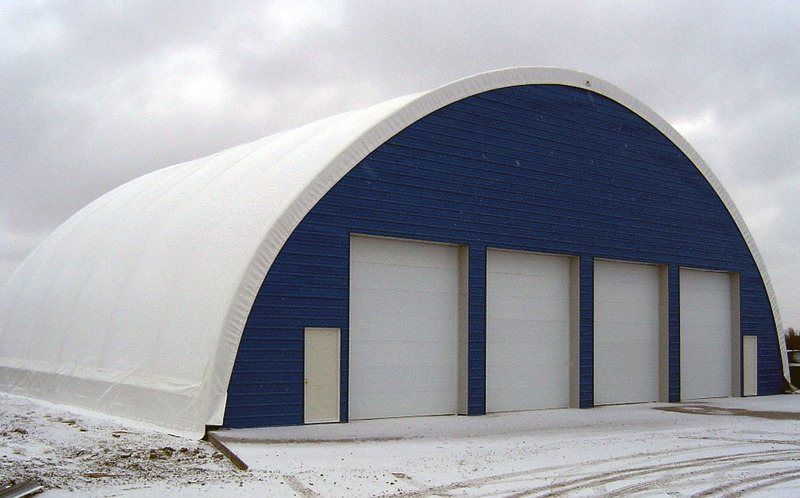 Building fabrics are available in a variety of colours (including translucent), UV resistant, and are available in flame-retardant grades. 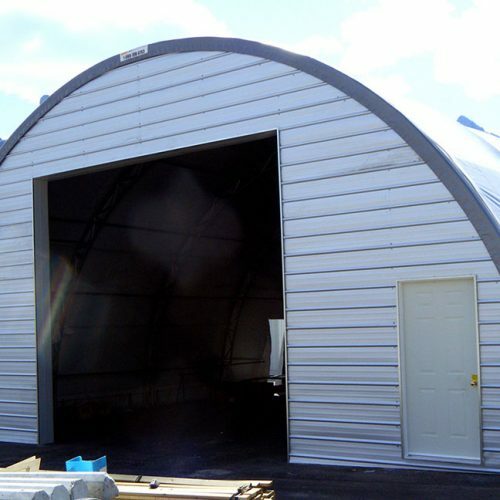 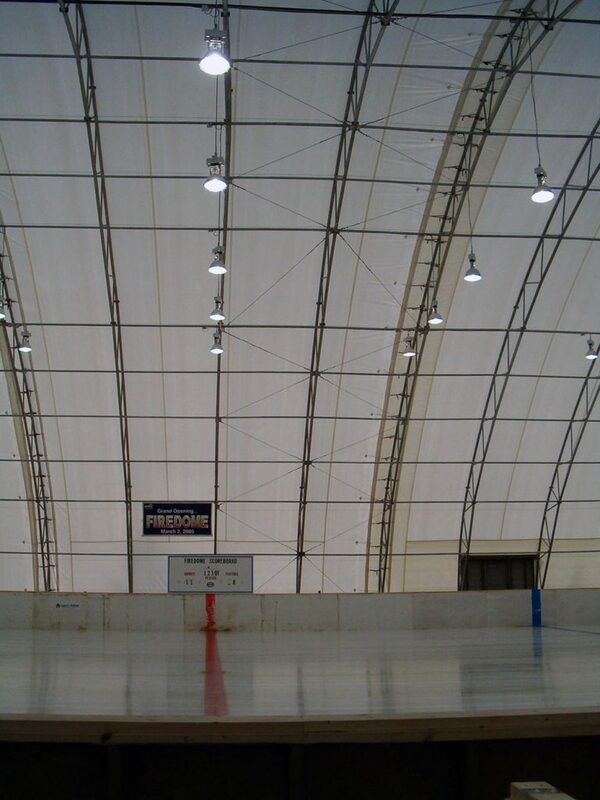 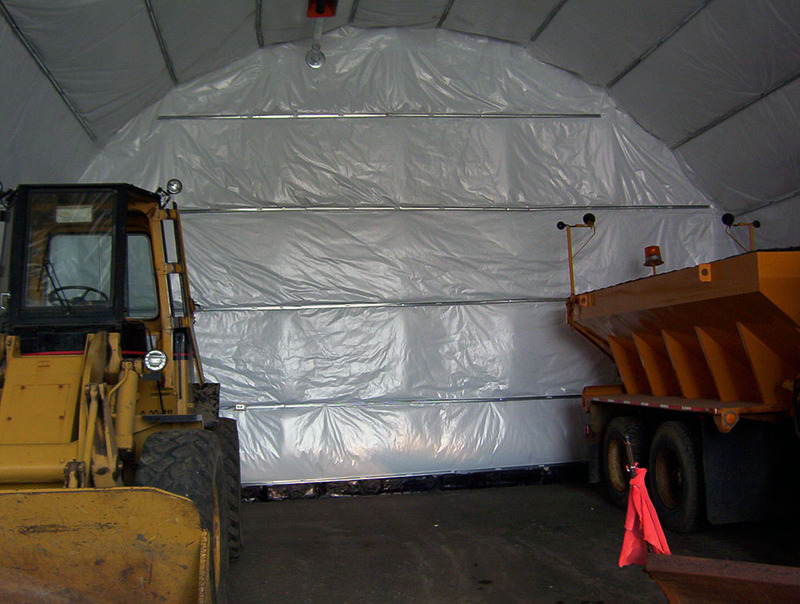 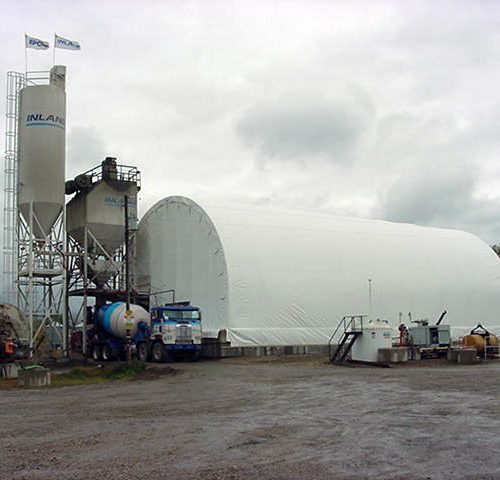 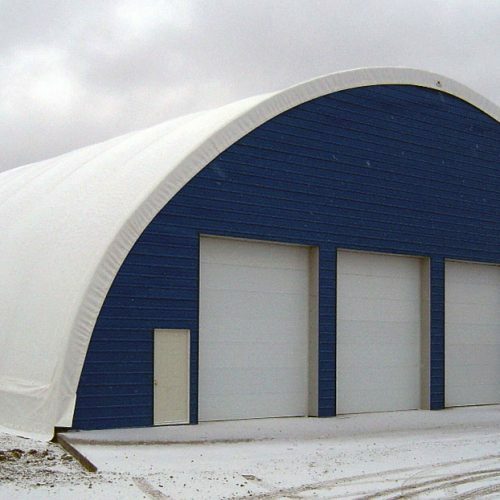 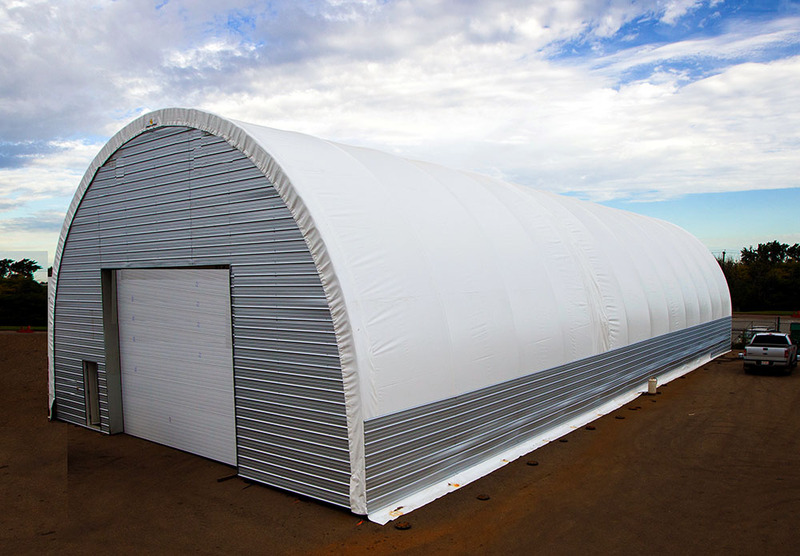 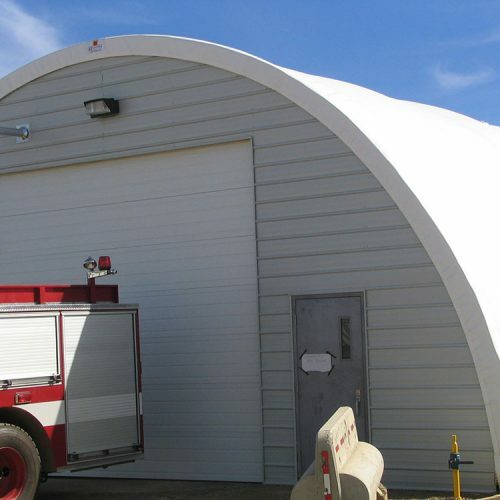 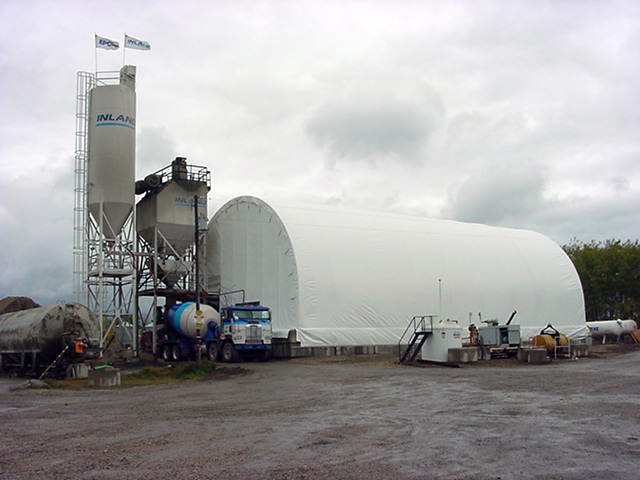 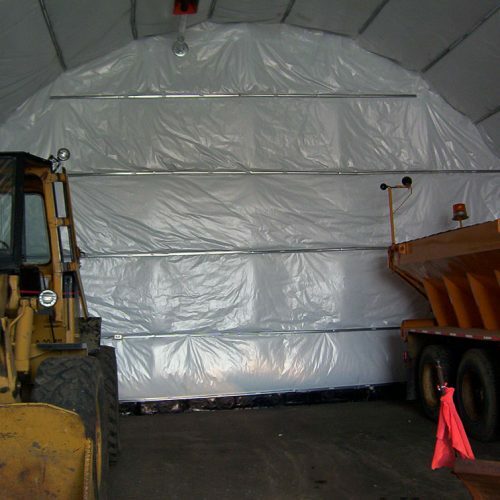 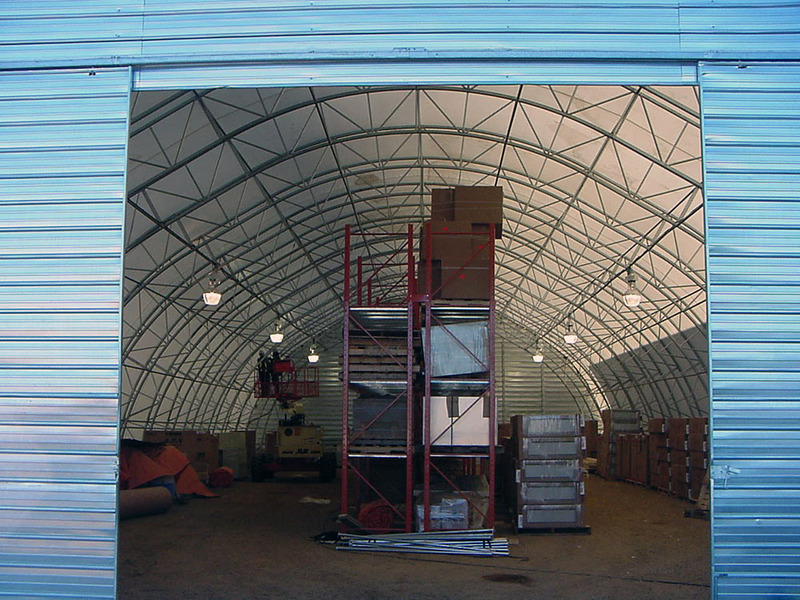 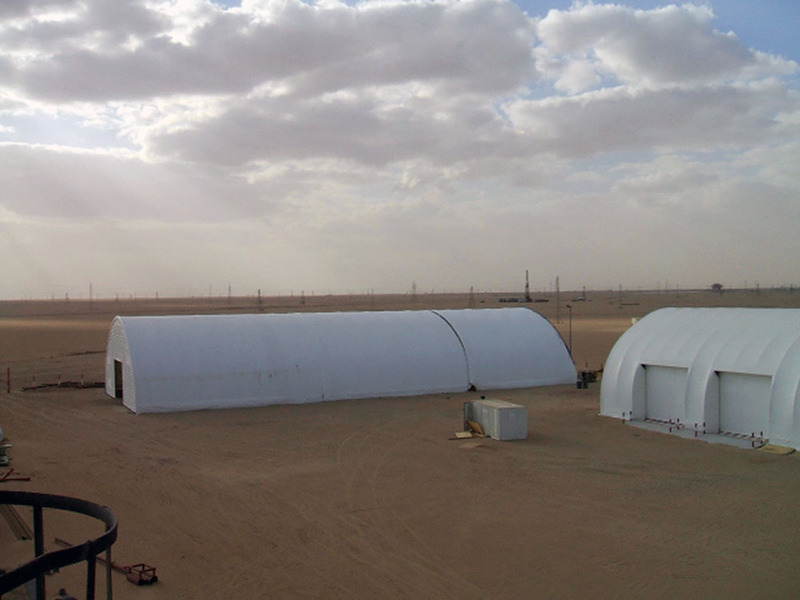 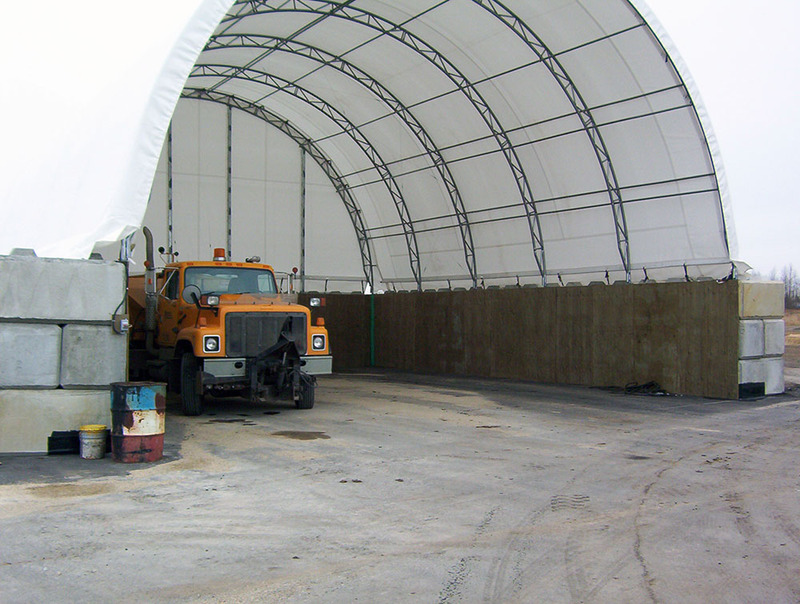 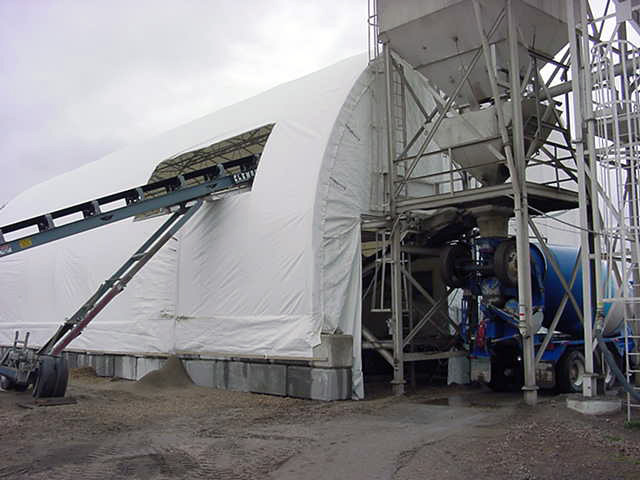 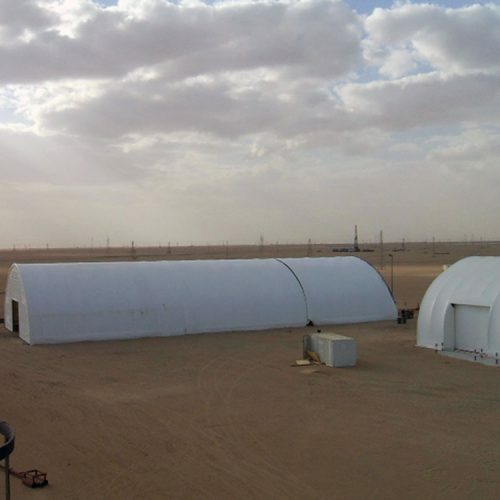 All Weather Shelters engineered fabric buildings are designed to meet or exceed weather conditions anywhere in the world. 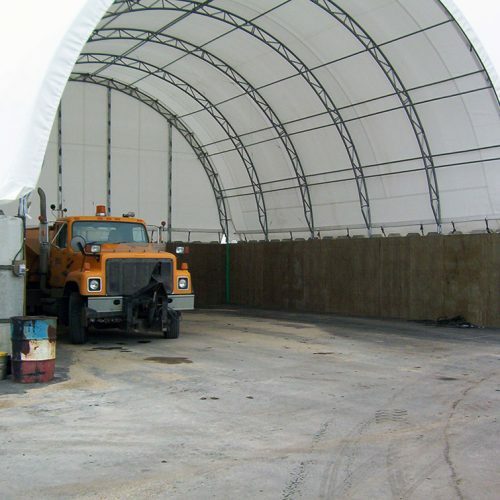 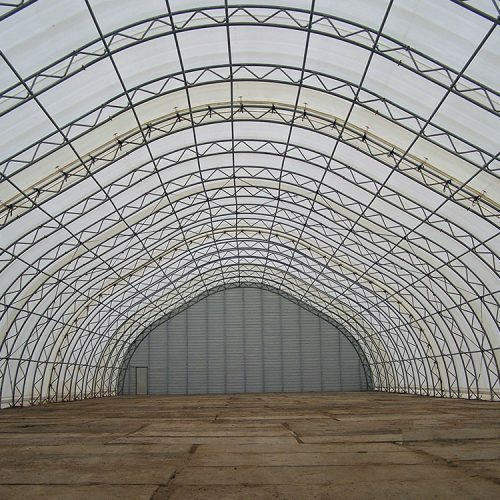 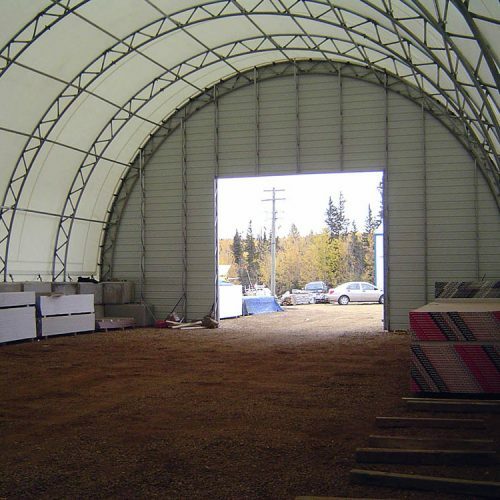 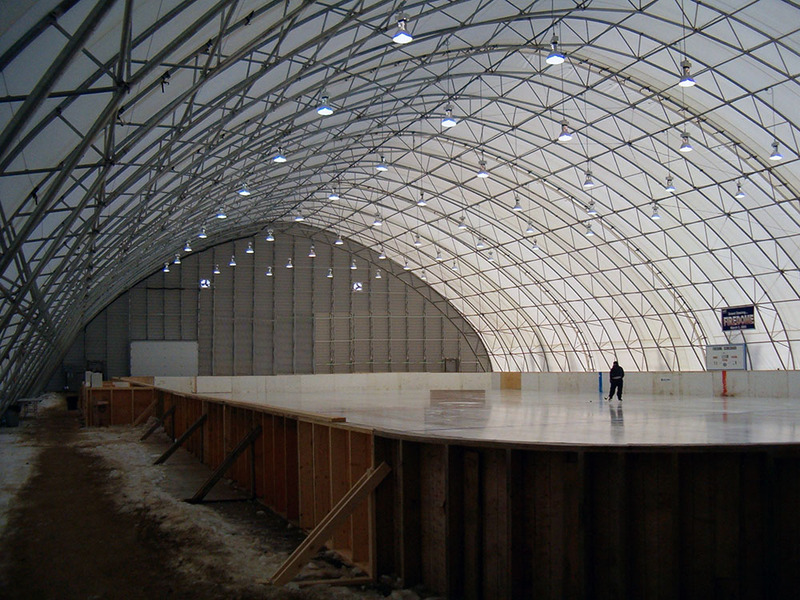 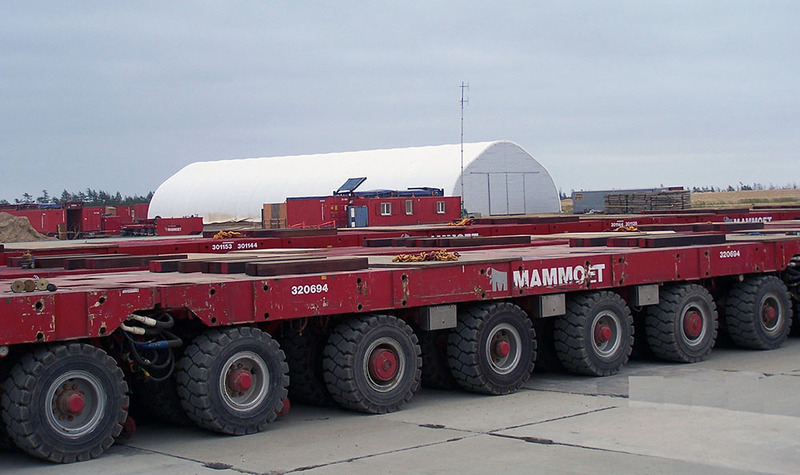 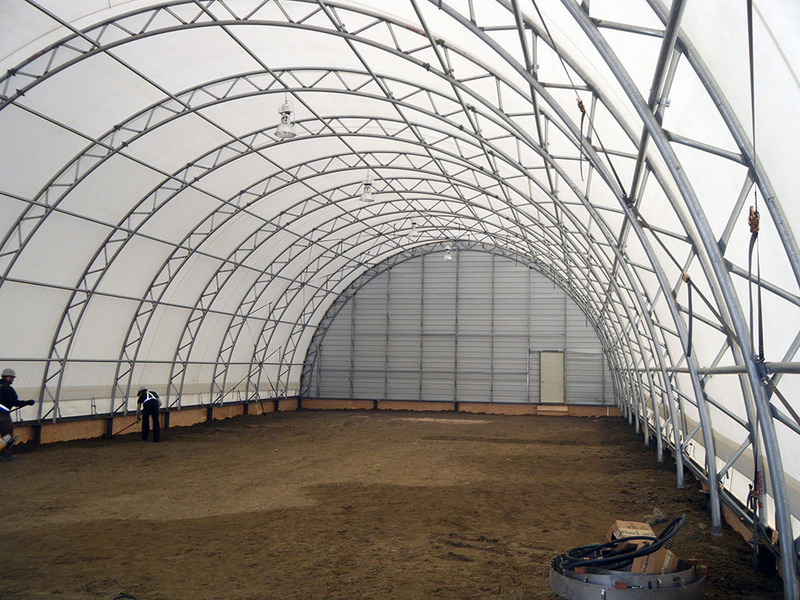 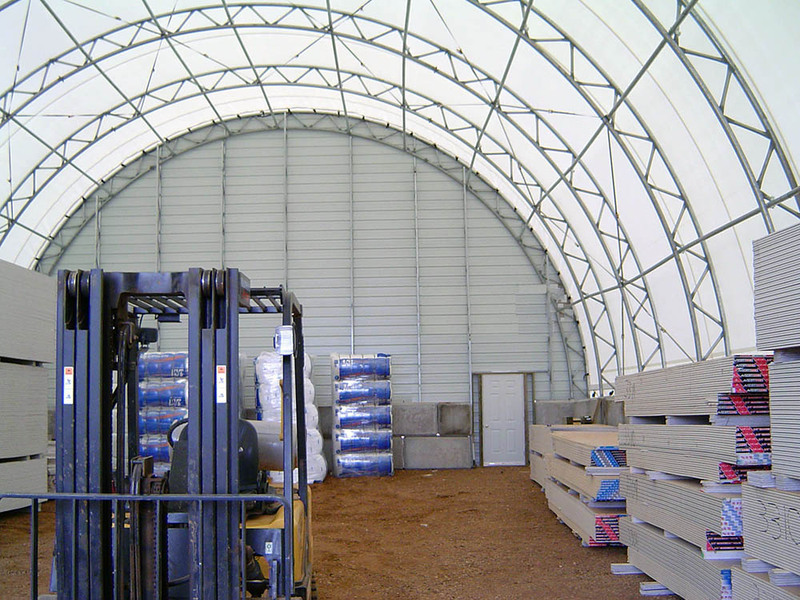 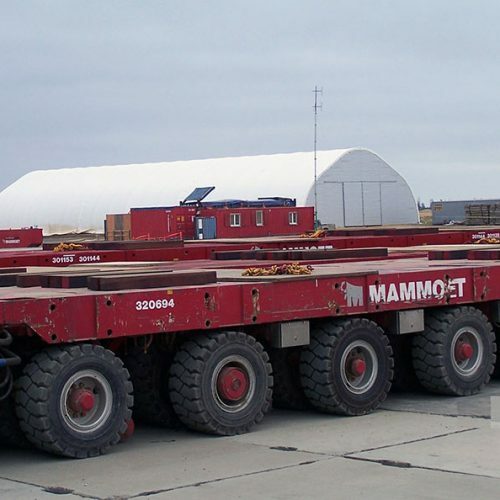 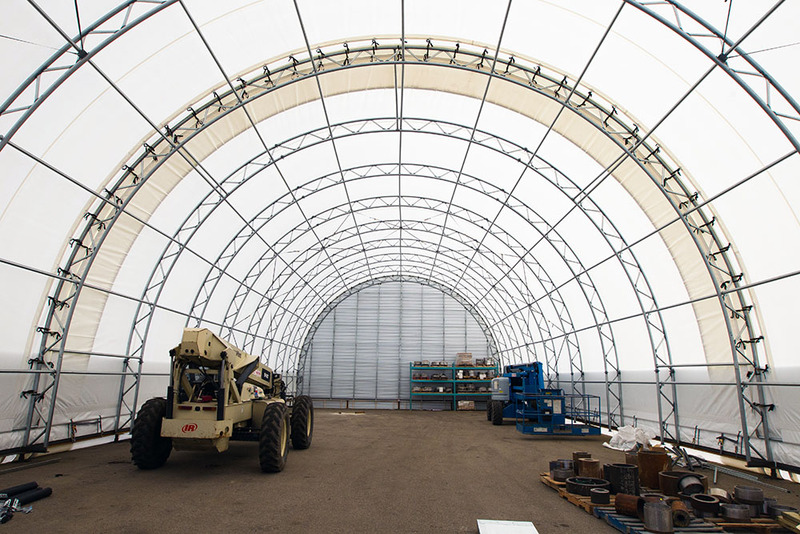 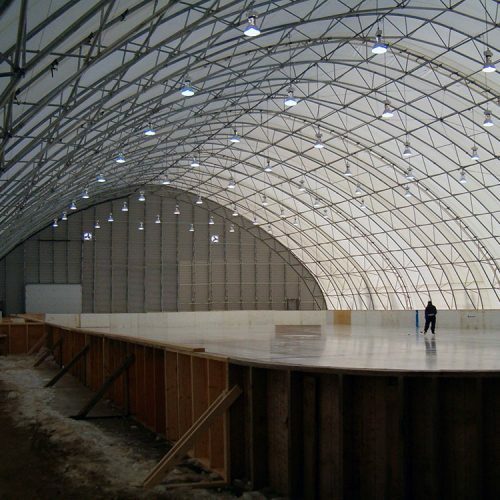 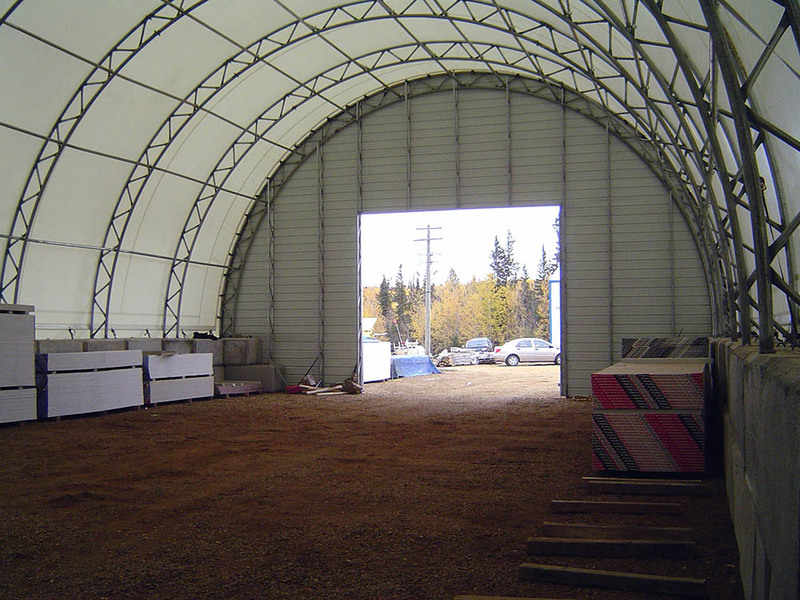 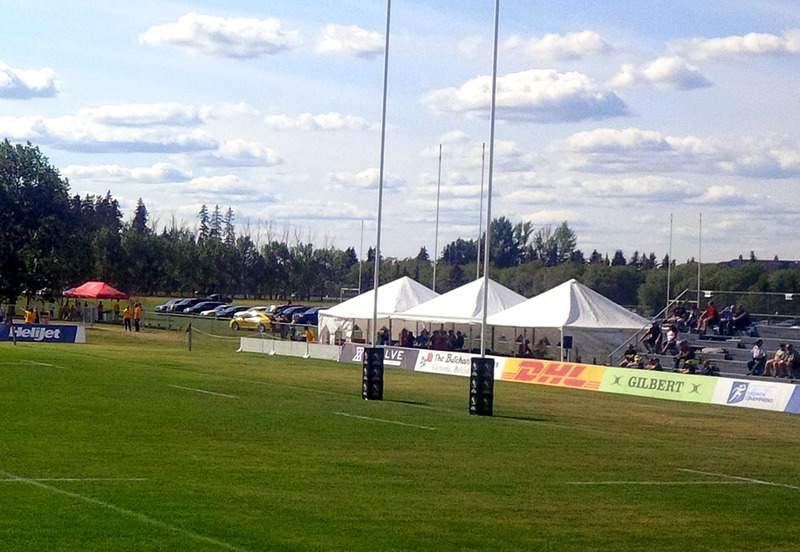 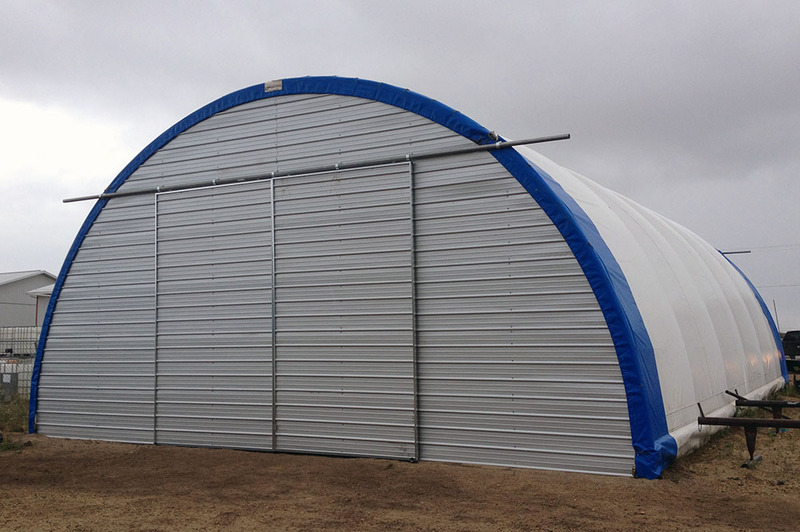 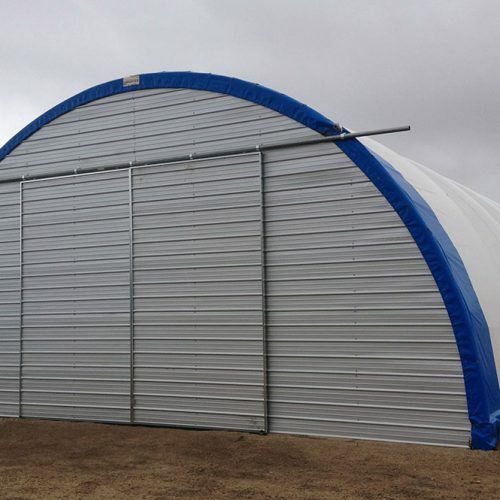 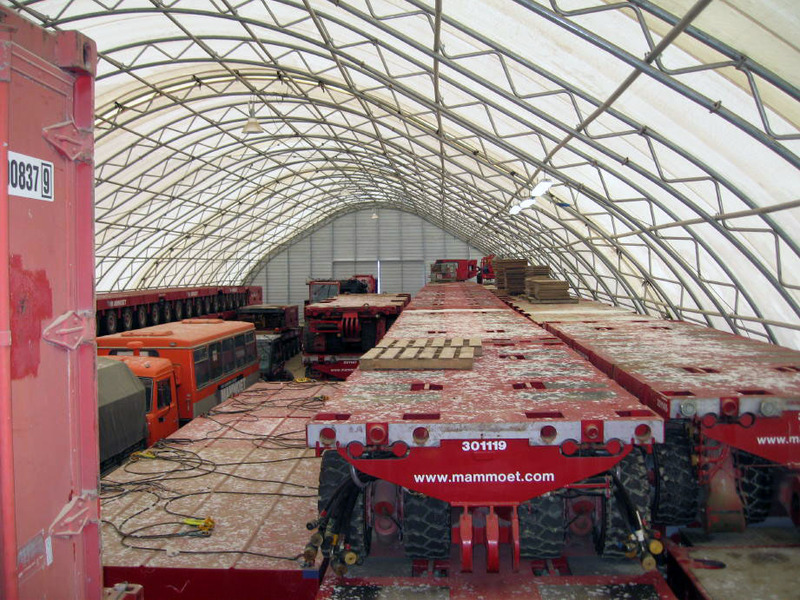 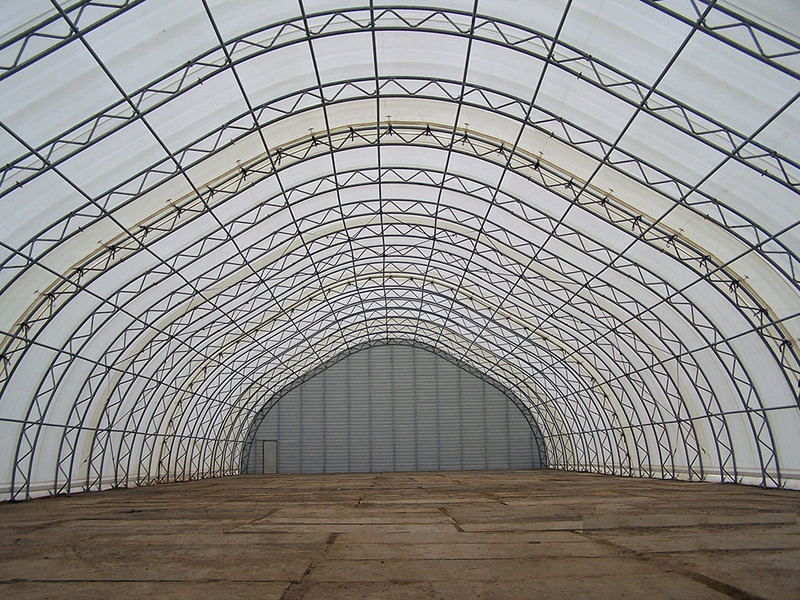 Using only the highest strength structural steel and galvanized frames, we are able to produce a shelter of any length and a variety of widths ranging up to 126 feet wide.